Easy to install, remote controlled, alarm system suitable for home or commercial properties. 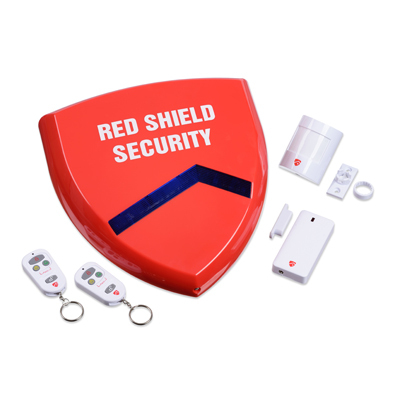 Battery powered and wirelessly controlled, the alarm requires no wiring into the mains and can be expanded with additional components. Panic – where siren is activated when Panic buttons are pressed on the remote – whether the alarm is set or not. When the alarm is activated the 120dB bell box siren will sound along with flashing blue strobe LEDs to attract attention. Up to two year battery life, batteries all included.